Here in #NaturalNorthFlorida, we may not have the colorful foliage or crisp autumn air like our Northern friends do this time of year. But warmer weather means more outdoor adventures to be had without the need for hand warmers or woolly layers. Many of our favorite summer activities and destinations are just as fun in the fall, and even boast less crowds than in the hotter months! Check out our favorites below. Don’t worry, you can still cozy up with a pumpkin spice latte afterwards. Our brand new Ultimate North Florida Bicycle Guide can help you plan a weekend cycling adventure. Choose a paved, off-road greenway, bring your mountain bike onto a trail in a gorgeous state park, or hit the road and travel between towns for a truly unique experience. The Four Freedoms Trail in Madison County is perfect for beginners and experienced cyclists alike. 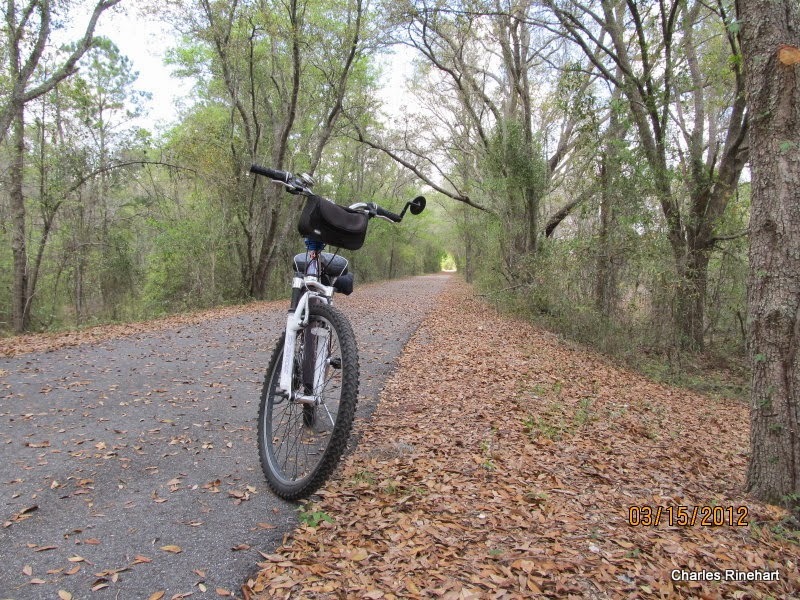 Ride a portion of this 25 mile trail that extends from the city of Madison to the Florida-Georgia border on the Withlacoochee River. Pass through the two tiny towns of Hansen and Pinetta, and enjoy scenic riverside views on the way. 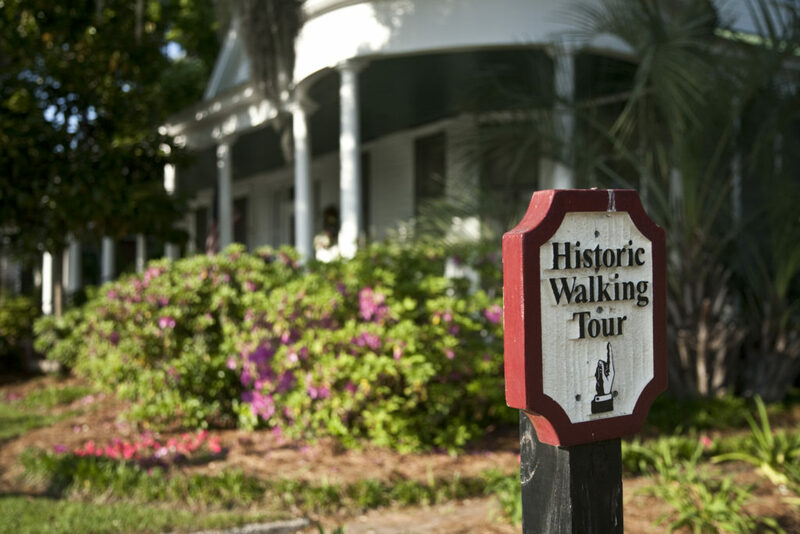 After your ride, explore downtown Madison for some good eats, precious antiques, and interesting Florida history. View the full route on Ride with GPS and be sure to join the Visit Natural North Florida Bicycle Club for more lesser-known trails around our beautiful region. The town of Monticello in Jefferson County has been dubbed the “South’s Most Haunted Small Town”. Every weekend in October, take a 90 minute ghost walking tour (with Historic Monticello Ghost Tours) among live oak canopies and charming antebellum homes in the downtown district. However, in the evening, the shadows make your surroundings come alive. Experienced “ghost trackers” will guide you on a nighttime “adventure into the unknown.” Whether or not you believe in haunted houses or ghosts, this family-friendly event is bound to get you into the spooky spirit of the season. Located only 23 miles east of Tallahassee and just off I-10, Monticello makes for a fun weekend getaway or pit stop on a longer journey. If you’re in the mood for more Halloween fun, attend a Murder Mystery Dinner Theater or a play featuring Edgar Allan Poe stories at the Monticello Opera House. Photo from the Downtown Festival & Art Show gallery. Try a new food, discover an inspiring artist, or visit a town you’ve never been to before at one of our fall festivals. Bring your family and friends, and be sure to share your photos with us on Facebook, Twitter and Instagram! The St. Marks Stone Crab Festival on October 22nd celebrates all things stone crab – a delectable seafood straight from the nearby Gulf. Live music, vendors, a parade, and an array of family activities make for a day of fun in the historic city of St. Marks. While you’re there, schedule some time to visit the St. Marks National Wildlife Refuge to see the lighthouse and look for beautiful birds. 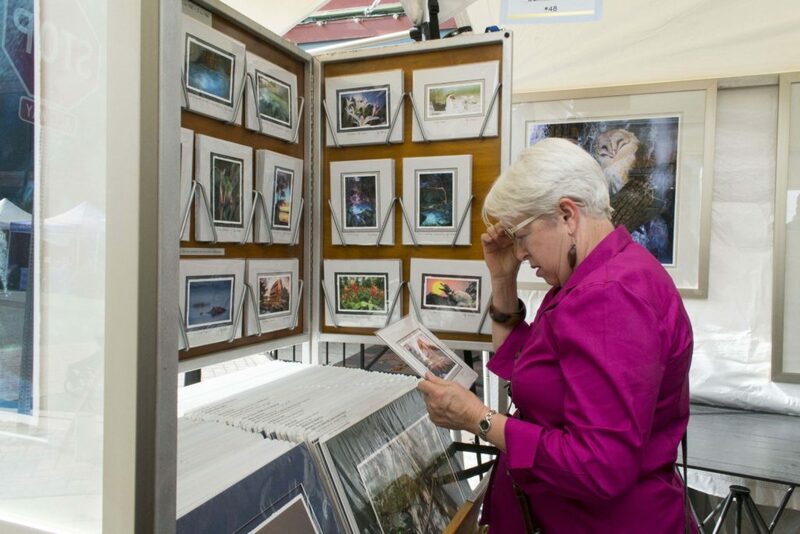 There’s also the Downtown Festival & Art Show on November 5th and 6th in Gainesville – a showcase of over 240 artists from across the nation in the historic downtown streets. Live music and performing arts accompany the artist booths, and there’s even a children’s Imagination Station for little artists to craft something creative. You’ll definitely want to explore more of Gainesville when the festival’s over! Combine the best of both fresh food and local arts at the Yankeetown Arts, Crafts and Seafood Festival on November 19th and 20th. There will be games, rides, all kinds of food, and arts vendors to get your holiday shopping started. This historic small town in Levy County is centrally located near the Gulf and the Withlacoochee River – bring your canoes and kayaks! 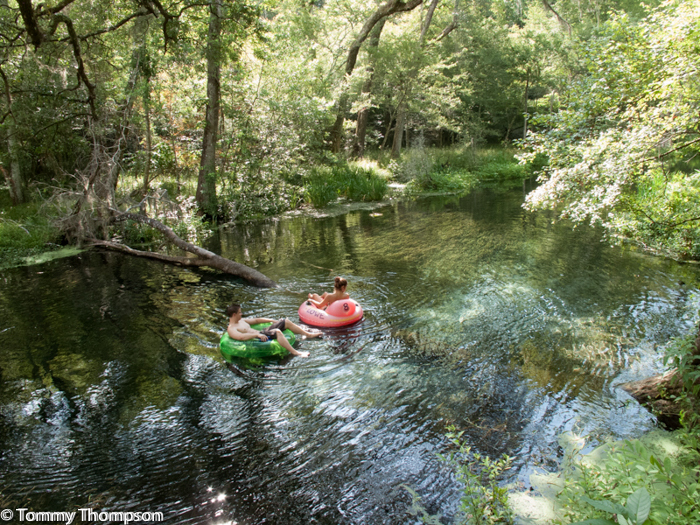 Gently floating down the crystalline waters of the Ichetucknee River (pronounced itch-ee-tuck-nee) is a favorite summer past time around here – the cool spring waters help hundreds of visitors handle the heat and humidity. But did you know you could tube the “Itch” year round? From Labor Day to Memorial Day, tubing is available from the South Entrance of the park to let the northern section of the rivir regrow and recover from heavy summer traffic. Rent your tubes from Lowe’s Tubeland – they’ll rope them onto the back of your vehicle so you can head to the South Entrance. From there, launch your tube at one of two sites and enjoy a scenic float down the river, looking for turtles and herons. Wear a rash guard if you get chilly, and don’t forget your water shoes! The summer season shuttles won’t be running, so you’ll have to walk back up to your vehicle. The Big Bend is the region on the Gulf Coast of Florida where the peninsula meets the panhandle, and its marshy coast is perfect for saltwater fishing. With air and water temperatures cooling down, trout and redfish are on feeding frenzies and fattening up for the winter. 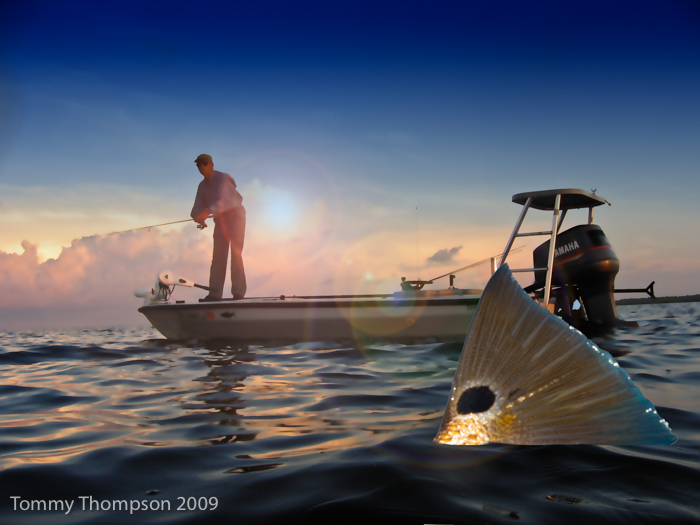 Head to destinations like Yankeetown, Cedar Key and Steinhatchee for the best in fall fishing. No boat? No problem! Try wade fishing in Keaton Beach, or some other favorite spots in Taylor and Dixie Counties. And be sure to check out our Fishing and Boating blogs for more inspiration to get you started. Our blogger Captain Tommy has the best tips on everything from noise-making to post-rainy day bait choices.